PLEASE NOTE: Every POW who is listed on this web site has been positively identified using actual evidence. However, unfortunately, there were two officers during WWII both with the same rank and name of Generalmajor Walter Bruns! Even though evidence exists to prove that atleast one GM. Walter Bruns was a POW at Island Farm (see previous page), it is unconfirmed as to whether this Walter Bruns also was a POW at Island Farm. 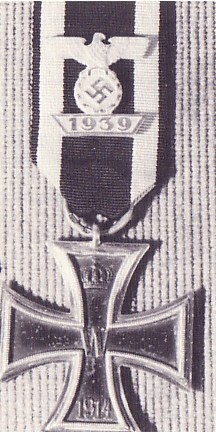 19 March 1908: Entered the Army as a Charakter als Fähnrich in 10. 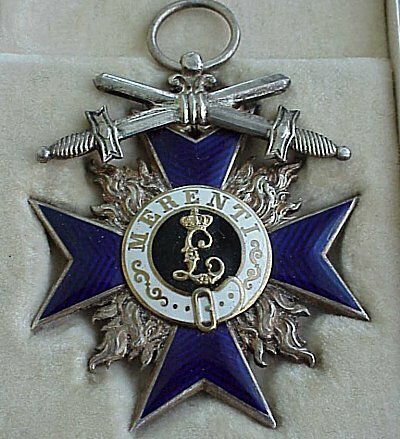 Lothringisches Infanterie-Regiment Nr.174. 20 December 1910: Passed into the Reserve. 1911-July 1914: Military Instructor at the Machinegun Firing School in Buenos Aires, Argentina. 29 August 1914: Reactivated in the Army and allocated to Fortress Machinegun Battalion 9. 11 September 1914: Transferred to Fortress Machinegun Battalion 3. 11 June 1915: Allocated to Replacement Fortress Machinegun Battalion 9. 1 August 1915: Detached to the Machinegun Instruction Course in Döberitz. 12 August 1915: Leader of the Machinegun Company of Landwehr Infantry Regiment 53. 29 September 1916: Machinegun Officer on the Staff of Landwehr Infantry Regiment 53. 12 December 1916-24 December 1916: Detached to Mortar Courses with Mortar Company 315. 15 September 1917: Detached as an Exchange Officer to the Imperial and Royal Austro-Hungarian 25th Infantry Division  command not begun due to illness. 20 October 1917: Placed at the disposal of the General Command of the VII Army Corps for employment. 15 April 1918: Allocated to the 3rd Replacement Machinegun Company of the VII Army Corps. 16 May 1918: Allocated to Antiaircraft Machinegun Battalion 904. 19 November 1918: Leader of Antiaircraft Machinegun Battalion 904. 9 January 1919: Leader of the 2nd Machinegun Company of Guard Reserve Regiment 64. 23 May 1919: Delegated with the leadership of the I. Battalion of Guard Reserve Regiment 64. 1 August 1919: Leader of the Machinegun Company of Reichswehr Infantry Regiment 68. 15 November 1919: Leader of the 8th (Machinegun) Company of Reichswehr Infantry Regiment 15. 1 October 1920: Company Chief in Infantry Regiment 3. 7 January 1921: Machinegun Officer on the Staff of Infantry Regiment 3. 1 April 1921: Company Chief in Infantry Regiment 3. 1 October 1921-31 October 1921: Detached as Leader of the Light Machinegun Course in Deutsch-Eylau. 1 October 1922: Hauptmann on the Staff of Infantry Regiment 3. 1 February 1923: Company Chief in Infantry Regiment 3. 1 July 1924: Company Chief in Infantry Regiment 14. 21 January 1925-29 January 1925: Detached to the Machinegun Course in Kassel. 21 June 1928-28 June 1928: Detached to the Machinegun Course in Meiningen. 5 November 1928-18 November 1928: Detached to Gas Protection Course C in Berlin. 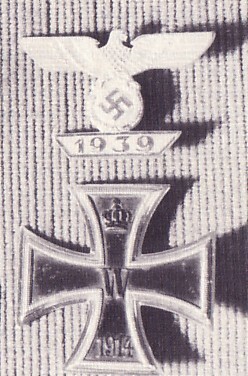 9 April 1929-22 April 1929: Detached to the Heavy Machinegun Course in Münsingen. 1 April 1932: Welfare Officer on the Staff of the II. Battalion of Infantry Regiment 14. 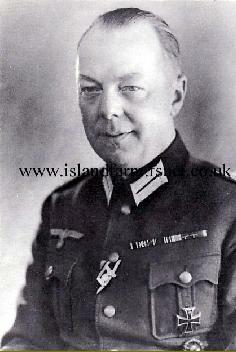 1 October 1933: Transferred to the staff of the Commandant of Cuxhaven and detached to the IV. Navy Artillery Battalion, Cuxhaven. 5 July 1935-25 July 1935: Detached to the Spanish Army, Madrid. 15 October 1935: Commander of the I. Battalion of Infantry Regiment 26. 12 October 1937: Commander of the II. Battalion of Infantry Regiment 46. 1 July 1939: Commander of Infantry Regiment 21 of the 17th Infantry Division. 1 October 1939: Army High Command Leader Reserve. 15 October 1939: Military Attaché in Madrid and Lisbon. 1 October 1941: Army High Command Leader Reserve. 20 December 1941: Commander of Infantry Regiment 688 of the 337th Infantry Division  command not begun due to illness  again in Army High Command Leader Reserve. 21 June 1942: Detached to the Higher Field Commandant 570, Gent, Belgium. 25 June 1942: Higher Field Commandant 570, Gent, Belgium. 6 June 1944: At the same time, Battle Commandant of Gent, Belgium. 25 September 1944: Commander of the 89th Infantry Division on the Western Front. 14 March 1945: In hospital. Generalmajor Walter Bruns & Generalfeldmarschall Model (note the crossed batons on his shoulder strap).